Going through a divorce is difficult, regardless of the situation. While this is likely to be an emotional time in your life, there are practical matters which must be attended to in order for your divorce to be finalized. At our law office, we work with you to ensure all the appropriate documents are in place, so that your divorce can be resolved in the most effective and cost efficient way possible. Divorce Petition: The person who files for a divorce is known as the plaintiff. Their attorney will draft a petition outlining the details surrounding your marriage, the circumstances of your divorce, and any allegation or demands they have which impact the case and any resulting divorce settlement. This petition is filed with the family court and served on the other party and their attorney, if they have one. Countersuit or Answer: The spouse named in the petition, known as the defendant, may file an answer within thirty days, either agreeing with or disputing the facts and allegations made. If they fail to do so, the divorce may be granted without further negotiations. If there are issues the defendant disagrees with or feels are not addressed, they may file a counterclaim. 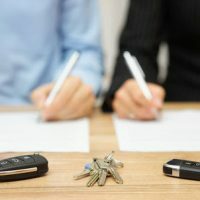 Financial Affidavit: In divorce cases where property and assets are in dispute, both parties will need to submit a financial affidavit. This outlines the income and assets the couple has, individually and collectively, along with any outstanding marital debts. Parenting Plan: If there are children of the marriage, a parenting plan will need to be submitted for any related child time sharing proceedings. Evidence to substantiate any claims you are making, which may include evidence of affairs, abuse, or other marital misconduct. Attending to the practical matters surrounding a divorce may seem overwhelming, but our Fort Lauderdale divorce attorney is here to provide the practical help and compassionate support you need. Call or contact attorney Vanessa L. Prieto online today and request a consultation to see how we can assist you.